If you’ve still got some money to spend this Cyber Monday, both Tylt and Twelve South are offering some great deals on iOS device accessories. 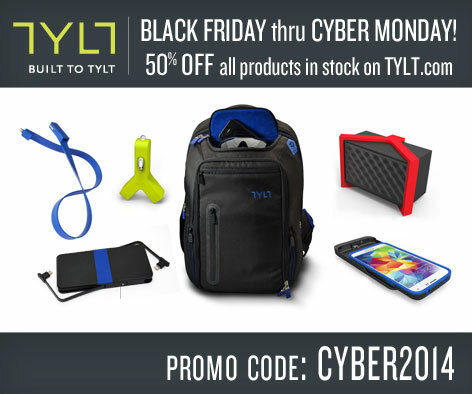 Through 11:59 p.m. PST tonight, you can purchase any in-stock product from Tylt’s site at 50 percent off. 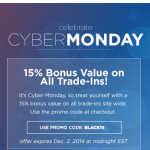 Just enter the promo code CYBER2014 at checkout. 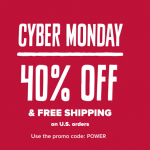 The company is also throwing in free shipping for orders in the continental United States. If you’re still using an iPhone 5s/5, definitely take a look at some of Tylt’s options. You can snag either version of the company’s Energi battery case for just $29.99. Tylt also has a number of portable battery packs, Lightning cables, and screen protectors ready to purchase with the promo code. One of my favorite products is the Syncable-Duo charge and sync cable that offers a Lightning plug for Apple devices along with a micro-USB connector for other electronics. It’s just $14.99 during the sale. The company also has a nice line of screen protectors for the iPhone and iPad. Alin helps make installation easier with the addition of an alignment tool. The iPhone 6 version of the Alin is just $9.99 during the sale. For its part, Twelve South is offering 25 percent off its popular BookBook line of cases for the iPhone, iPad, and MacBook. While the company doesn’t yet have a version of the case for the iPhone 6 or iPhone 6 Plus, the iPhone 5s/5 version is $44.99. The leather case for the iPad mini, which I reviewed back in 2013, is just $59.99. Twelve South’s discounts will be available until 11:59 p.m. EST tonight. For other recent accessory news, see: This week in accessories: Doxie Go Wi-Fi, LifePocket SL for the iPhone 6 and more, AppAdvice’s ultimate holiday accessory gift guide for iPhone owners, and Mophie is offering some powerful Cyber Monday deals on battery packs and cases.